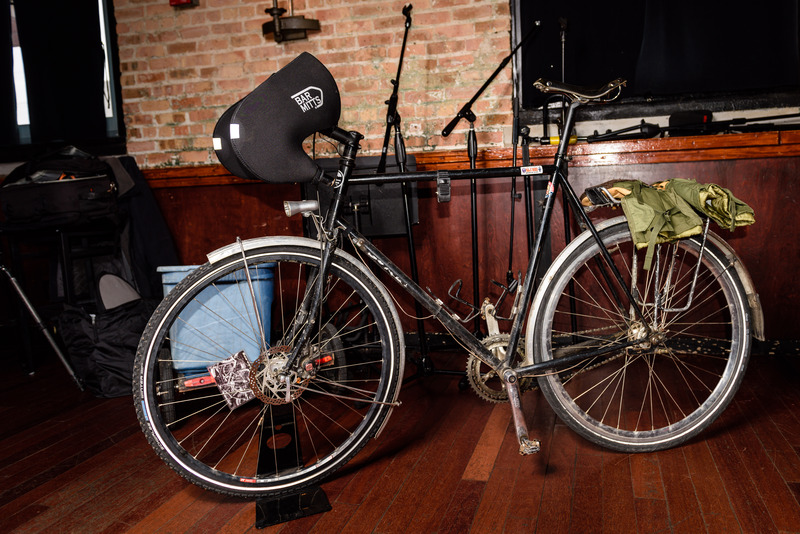 Winter Bike Fashion Show 2016: Photos! Advice! Fun! 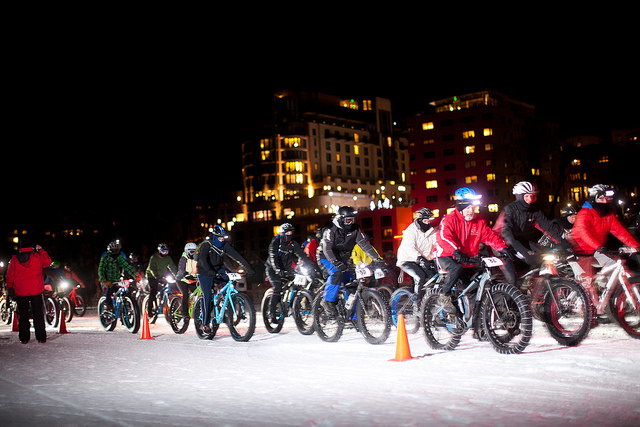 Thanks to everyone who came out to enjoy the Madison Bikes Winter Fashion Show! For those of you in attendance you know a good time was had by all. And for those who missed out on the fun, here's a recap of the afternoon. 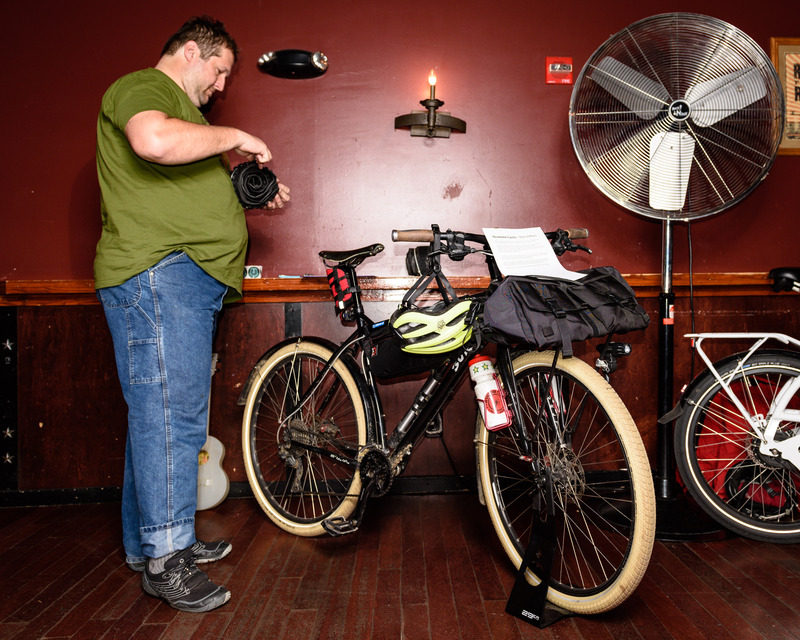 Matt DeBlass, our show's MC from Revolution Cycles, arrived at the High Noon on his Surly Ogre--just one of many bikes he rides during winter. The runway show itself started with Matt summarizing the varying conditions to expect when winter riding. 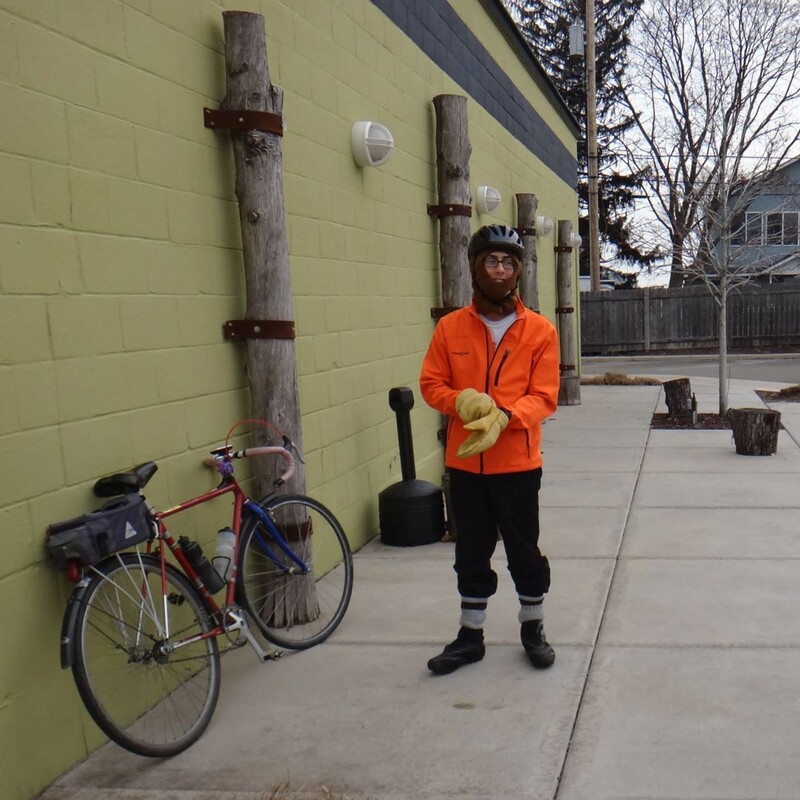 Our volunteer models showed a variety of gear, ranging from more technical wear to things just about everyone has in their Wisconsin winter collection (or can find at the thrift store). 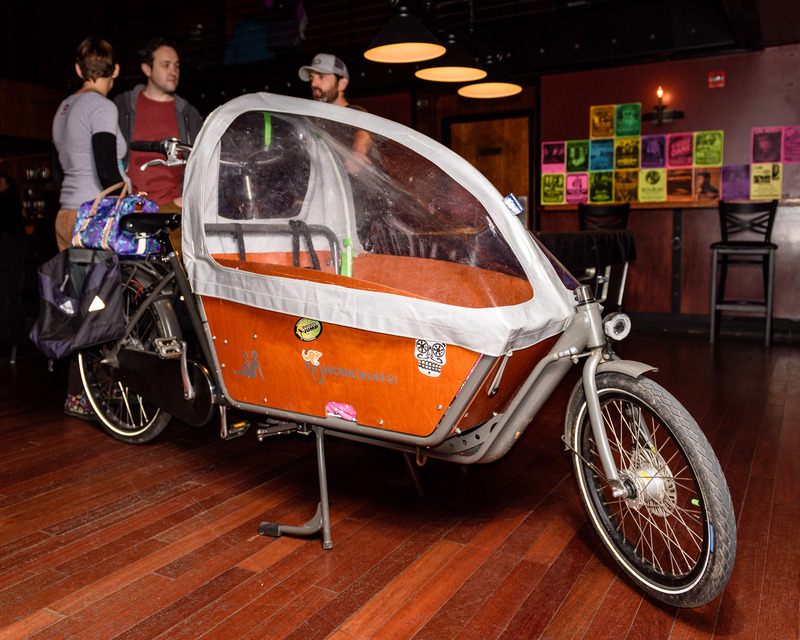 This is a guest post by Jacob Musha, sharing his advice for riding all throughout winter in relative comfort. 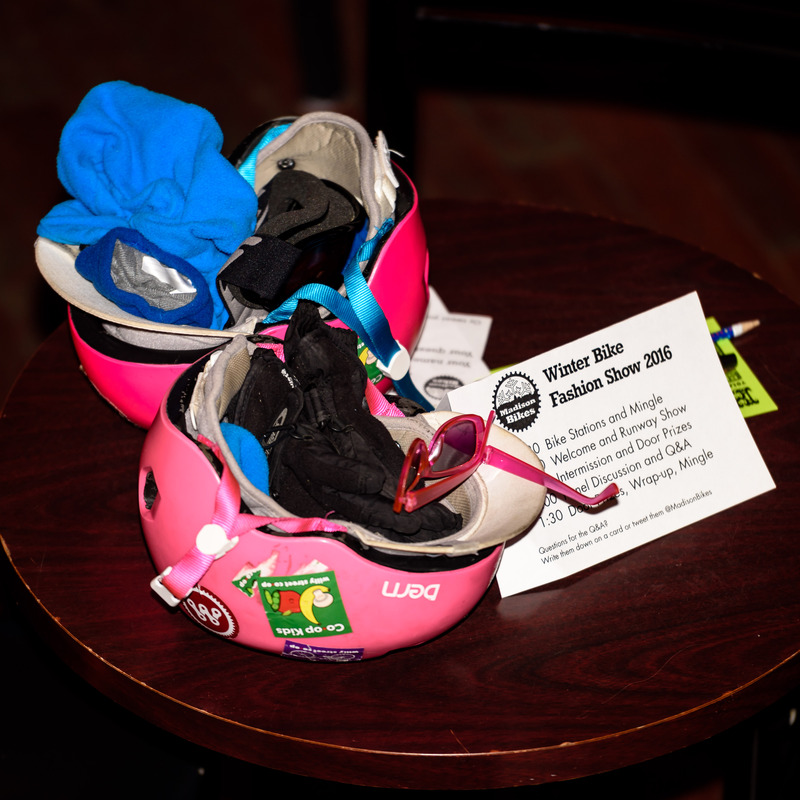 As you'll see at the upcoming Bike Winter Fashion Show, everyone's approach to this is a little different, and a lot of it depends on where and how far you're riding. If you want to share your tips, you can do so in the comments below or write your own guest blog post! 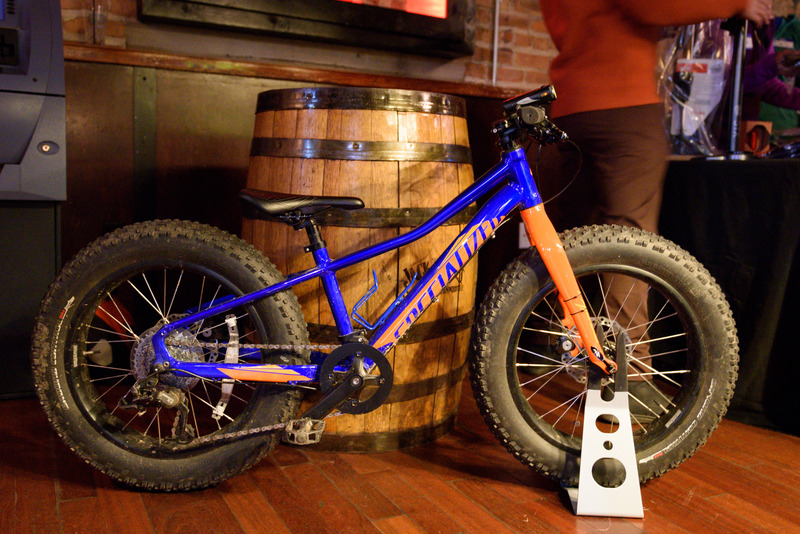 Just contact us at winterbike@madisonbikes.org. I’ve been bike commuting daily in Wisconsin winters for eight years. 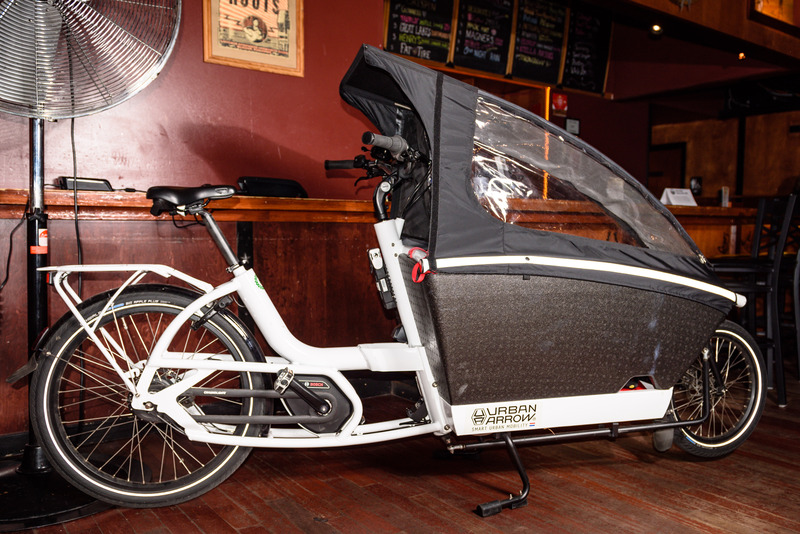 The response I get from nearly everyone, even fair-weather cyclists, is “you’re crazy,” followed by, “I don’t know how you do it.” The truth is that you don’t need to be a polar bear to bike in the winter. I’m so averse to cold that I shiver in swimming pools when the water temperature is below 80F... The key is to dress correctly.